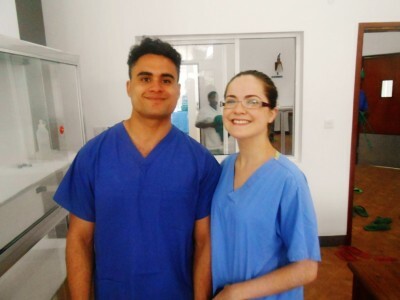 Over the summer I travelled to Trivandrum, India for a two week pre-medical placement with Global Medical Projects. I was eager to gain more hospital work experience and the opportunity to observe a foreign healthcare system really appealed to me. Leading up to my trip I was very nervous and found the thought of travelling by myself to an unknown city, far from home rather daunting! However, there was so much support from Global Medical Project’s staff, particularly the coordinator Kevin Dynan. Any concerns I had were addressed and questions answered, ensuring that I was fully prepared for the adventure ahead. Before I arrived in India, Babu the director who is based in Kerala had already received my CV and from this he organised all of the hospital placements for me, according to my interests. On arrival in Trivandrum airport, I was greeted by as friendly staff member who had arranged transport to take me to my accommodation. The Volunteers house is comfortable and well equipped, I enjoyed relaxing on the balcony in the evenings after placement. 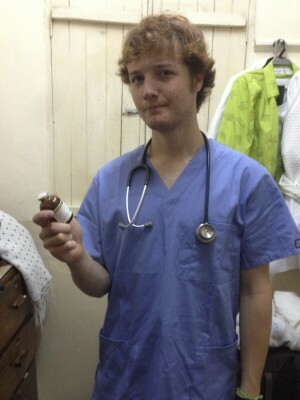 In India I experienced a number of medical specialties. I spent most of my time in the NMS Mission Hospital where I shadowed consultants and nurses who were very accommodating, answering any questions I had and explaining patient illnesses. The highlight of my work experience was the A&E department, where I developed great friendships with the staff, who were very passionate about their work. 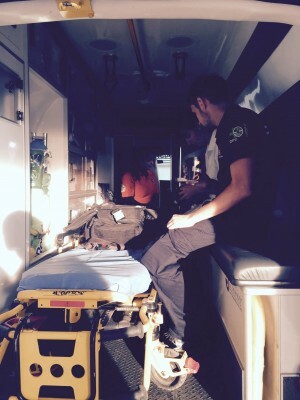 I witnessed some intense medical emergencies, including a Cardiac Arrest and an epileptic seizure. I loved learning how to take an ECG of a patient’s heart and to identify an abnormal rhythm caused by a myocardial infarction. I also had the opportunity to volunteer at the Palliative Care Charity called Pallium. I got to join the medical team in their home visits of rurally placed patients who didn’t have access to a hospital. It was exciting travelling in the 4×4 jeep on narrow dirt tracks with stunning scenery of backwaters and coconut trees all around. We delivered essential medication, bandages and food to rurally isolated patients and it was so rewarding to see how grateful they were for our support. Many of the patients had type 2 Diabetes and it wasn’t uncommon to see amputations and diabetic bed sores. 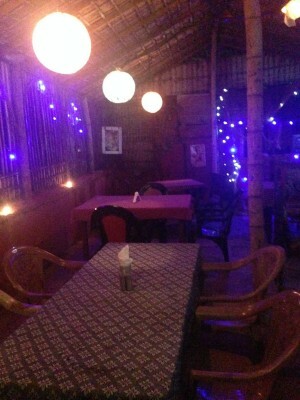 At the end of the day, the medical team treated me to some traditional indian snacks and coffee in a local Restaurant. I volunteered in the leperosy clinic, helping post-surgery patients with muscle exercises. My wish to experience Genecology is India was also fulfilled. Not only did I get to shadow a senior gynaecologist but I also had the opportunity to see an emergency Cesarean Section and care for the premature babies in the Neonatal Ward. At the weekends we had free time to travel. 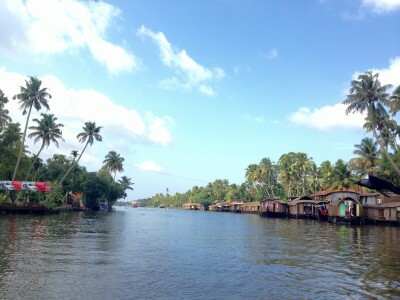 My favourite experience was visiting a region called Alleppey, which had some of the most beautiful backwaters in the world! The group hired a houseboat and we got a guided tour of the area, I didn’t stop taking photos as everywhere was so beautiful. 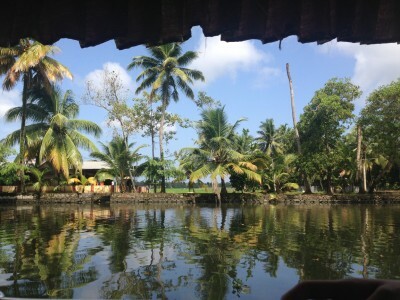 We even got to stop off along the canal and buy fresh coconut milk from a local and take pictures with his pet Falcon! It was a great opportunity to get to know other volunteers and we really bonded with each other. If you like to experience weird and wonderful foods, then India is definitely the place for you! At the weekend we were spoilt for choice as where to eat dinner, and price wasn’t an issue as the average feast cost us about three pounds each! At the volunteers’ house, “Chef Babu” ensured we didn’t go hungry and made some really delicious meals for the volunteers coming home from placement. My favourite dish was Samba, served with an indian pancake called a Parotta. 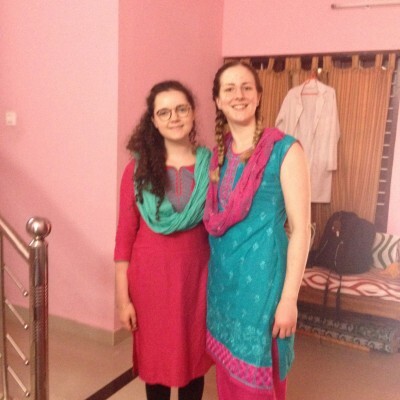 In all, my trip to India was a once in a lifetime experience and I would encourage anyone interested in gaining work experience to take this unique opportunity to explore another healthcare system, an exciting new culture and make new friendships in the process. My name is Emily Haines, and I have embarked on two unforgettable experiences in Africa. My life-long ambition is to become a doctor, and watching medical volunteers in Africa on BBC news TV channel one day motivated me to get in touch with Global Medical Projects to find out more. I was instantly hooked on the idea of embarking on an unforgettable lifetime experience in a Third world country! Although my trips took much planning in terms of finances and dates, it was certainly worthwhile. On my gap year prior to university, I took a month long trip for a medical and orphanage project in Ghana. Central Regional hospital in Cape Coast was where I spent the majority of my time, and it really opened up my eyes to the large differences between developing healthcare systems and the developed. In the evenings, I visited a small orphanage in the village of Ansapetu, where I met many children that were grateful for even a friendly face showing up at their door. It doesn’t stop there though! 2 years after reflecting on my time in Ghana, I could not wait to begin another project in another African setting, so I chose Tanzania. I was in Tanzania for 3 weeks, where I did another project, set in Meru District Hospital, and ‘Cradle of Love’ orphanage. People may think the two African projects I did were almost the same experiences, but I would definitely disagree. I came back from both experiences having learnt different practices, cultures and languages! 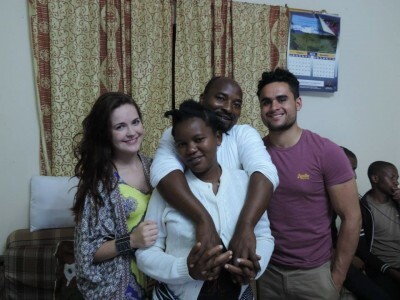 You can read about Emily’s medical and orphanage project in Tanzania here. Flying to Ghana was the first time I had ever travelled abroad alone, which was I must admit, quite daunting to begin with. Going into the unknown I really did not know what to expect, but I remember the day I arrived in Ghana like it was yesterday. From meeting Eric, my host, at the airport in Accra, I immediately felt like I was in safe hands. Seeing the bustling capital city of Accra, I instantly had culture shock, but my fascination over-rode my initial worries. The 3 hour journey to Cape coast was an interesting one, seeing the poverty stricken people in mud huts without sufficient clothing on their backs, confirmed what I’d seen in the media was real. However, I also noticed the wealthier side of the area, no longer did I see mud huts but well- constructed houses made of brick. Following this journey to Cape coast town I had arrived at my accommodation in Abura, and Mary, Eric’s wife, and Ruth, the housekeeper, were there to greet me. I was overwhelmed with how friendly and helpful they were and our personalities clicked right away. I also met one of a few volunteers I would be staying with; she helped me settle in by giving me advice, one being a warning of the frequent power-cuts that occur in the house, which I definitely got used to! However, the house had a lot more to offer than I’d expected, there was internet access so I could contact my family easily and a warm shower! Having the weekend to settle in before beginning placement allowed me to take in my surroundings and immerse myself in the different culture. George, the house supervisor and guide took me around Cape Coast educating me about the tourist attractions, including the beaches, Cape Coast castle and local customs and religions, and this really helped me to bond with the locals and shop owners straight away! I was overwhelmed by the friendliness of the locals, greeting strangers in the street was indeed a novelty. I often heard the words ‘Obruni!’ called out to me by the children in the street, I was told it meant I was foreign to them and I would hear it often during my stay. Trying the wonderful African food for the first time was also a new experience; my adjustment to the spice was certainly comical for my host family! As I began working in the hospital on the Monday, I was greeted by the matron of the hospital who asked me what areas of medicine I was interested in. After this I was allocated to the female medical ward for the first week. I asked doctors them what time they began their ward rounds each day, which was around 10 o’clock, and I soon realised that Ghanaians sense of time was very different to people’s in the UK, as it was different every day, there was no strict schedule. Whilst the doctors had not arrived yet I assisted the nurses with drug administration, dressing changes, and I probed them with questions. I learnt that Malaria was a common condition amongst the women on the ward; Ghanaians taking prevention medicine for it was rare as many could not afford this. Another ailment I observed was particularly prominent in the area was Anaemia, which highlighted to me the diet of many Ghanaians was insufficient in iron-rich food. As a result, I asked doctors if they could improve this by encouraging patients to eat a healthier diet. One thing that interested me was the treatment of Alzhemier’s disease; Ginko Giloba extract was used as a herbal medicine to prevent brain degeneration. Nurses told me of the healthcare system in Ghana, which meant that it isn’t free at the point of care like the NHS. People have to pay for their healthcare insurance, and in a number of cases I saw the distress of patients who could not afford to pay for treatments, they simply got turned away. As doctors arrived on the wards I observed their bedside manner, asked the doctors questions, and despite some language barriers between me and some patients I communicated with many. I was even lucky enough to mix in with the medical students on the wards and once in a class, where I got taught clinical skills and participated in question and answers sessions based on clinic consultations, this was challenging having only completed A levels, but I learnt a lot! The doctors could not have been more helpful and were extremely motivating whilst educating the students. The paediatric ward was a favourite of mine, and following ward rounds I joined the doctors in the clinic where I observed a wide range of various conditions. I noticed that Malnutrition was a serious issue amongst young people, many children had to be put on a treatment called ‘plumby nut’ to increase their nutrition and weight. There was an obvious lack of privacy and confidentiality during patient consultations, although patients had a completely laidback attitude about this which was surprising. In the surgical ward, I soon began to notice the limited resources present in Ghana, as many patients waited a long time to be admitted to surgery, since there was only one operating room in the hospital. One day I was able to directly treat school children’s wounds in a rural village, this was extremely gratifying and the children were even excited to receive a plaster! I felt I gained a broad insight into the healthcare in Africa in Cape Coast hospital, and one day when I qualify as a doctor, going back to treat patients would be even better. Every day after 6 hours at the hospital, I would retreat home for a quick lunch break (watermelon!) and head off to Ansapetu, where the orphanage was located. This would involve getting a taxi straight from Abura which took around 15 minutes but was very cheap! The children were aged from around 2 to 18 years, which allowed me to interact with differing abilities and interests. James was the founder of the orphanage, who my financial contributions were directly going to. It was satisfying to know that the orphanage was receiving some financial help, as it was very basic, with an obvious air of limited resources. Helena was the other coordinator and she and James were extremely welcoming upon my arrival each day. I would create games with the children after school, such as ‘hide and seek’ with the girls, football with the boys, and I frequently helped the children with homework given to them from school. It was interesting to find out the various future aspirations of the children, and it was refreshing to see they had great ambitions despite being in a situation with money difficulties. I would often help Helena set out dinner for the children, this included fish and banku, this was an interesting food with a white, gooey consistency, which I tried and definitely approved of! 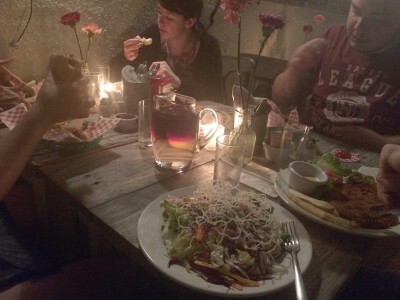 Table manners were very strict, as eating only with your right hand and not with the left was the accepted etiquette. Praying before food was a regular occurrence, and I really enjoyed taking part in the children’s respect for god. I helped the children to wash the dishes each day following dinner, and another great opportunity to bond with them was knocking down oranges from the trees in the garden! Learning the children’s names was at first a challenge, but getting to know each child individually it became second nature. Going back to the orphanage to see the children would most definitely be something I am thinking about. My time in Ghana did not only involve working hard, I also visited many tourist attractions on the weekends and relaxed in local volunteer hotspots in the evenings. There were about 5 of us volunteers coming and going at different time points, but we all managed to spend time with each-other outside of our busy schedules. Going out and meeting new people was a regular Friday night event, Oasis bar was always a great place for ‘westerners’ and the locals to mix, I met many people from Canada, Australia, and other European countries! Going out for food was always a way us volunteers treated ourselves, and some of us missed the odd plate of western food; ‘The castle’ restaurant was a personal favourite of mine! On weekends, I would always think of buying some souvenirs from the local markets. I came back with wooden masks, printed bags and jewellery. 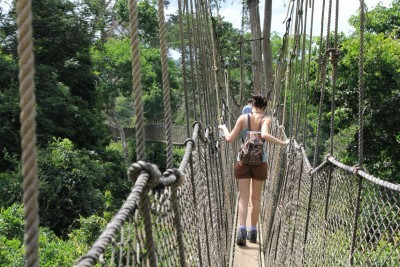 One weekend we visited Kakum national park, this involved walking through the forest with a tour guide and over an arial walkway over the canopy of the trees, which I would recommend if you want to conquer a fear of heights! Hans cottage was another place I visited, this was a hotel that overlooked a small lake with crocodiles here, me and the other volunteers had the chance to watch them being fed, and I even had a photo sitting with one! I visited a couple of beach resorts to indulge and swim in the sea; Coconut Grove and Anomabo beach resorts had wonderful staff service and although food prices were higher than what you would get in central cape coast, they were still pretty cheap! One of my favourite attractions was Elimina Castle, where I learnt a bit of African history and the slave trade. 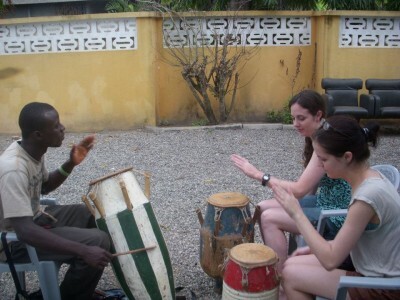 Learning the bongo drums each week was an exciting new activity, yet it was harder than it looked! I also went along with Mary to a Christian church service on a Sunday, people’s energetic attitudes and singing during church was inspirational. I will never forget the experience of going solo to Ghana, it was not what I expected but even better, I most definitely recommend it! Many people combine time at the hospital with time at the orphanage and this combination often works well. Combined placements are only £100 – $160 – €120 extra to cover the additional donation to the orphanage. 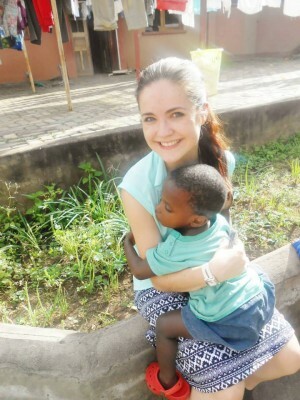 To follow in Emily’s footsteps and join the pre-university medical project in Ghana. You can also read more about our orphanage placements in Ghana. My name is Jack and I’m a 2nd year BSc biomedical science student preparing for postgraduate entry into medicine. Of the many choices that Global Medical Projects offer – I chose to take the 2-week volunteer project away in the small village of Meru, Tanzania. After the longest flight I’ve ever taken, I was thankful that the time difference in Tanzania isn’t too different to that in the UK! (2 hours ahead). 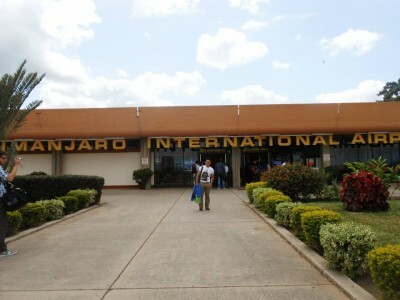 Kilimanjaro airport is a small airport but nonetheless – landing in a country halfway across the world can be daunting! Thankfully, due to the planning of GMP, it was organized for us (I was with my friend Luke) to meet GMP’s Tanzanian contact -Elias and our host who we would be staying with – Zablon. The trip to Zablon’s house in Usa river (pronounced oosa – we were calling it the USA river!) took some time but it passed quickly as Zablon was cheerfully explaining the names of all the mountains and why they were named that way. Zablon then went on to explain how he had just got married and was excited for us to meet his new wife Pretty! Upon arriving at Zablon’s (and Pretty’s) house on the Friday, Elias took our passports and photos to go and get our work visas sorted for the following week – leaving the weekend for us to settle in. Zablon and Pretty were fantastic hosts and cooked us meals every night. I wont ruin the experience for you by telling you what they made us, but I will say that we tried some of the traditional Tanzanian dishes and they were delicious! It wasn’t long before I was given the title of Mr. Bean as I couldn’t stop making our hosts laugh – part of this was because my Swahili was pretty awful and I often mispronounced words so that they started meaning very different things to what I was trying to say! Zablon and Pretty are two of the most happy and kind people I have ever met. Zablon is an examiner for trainee teachers and pretty is a teacher at the local school in Usa near the house. Zablon and Pretty met when Pretty was training to be a teacher and Zablon was assessing her – before long they fell in love and got married. Luke and I had the privilege of watching their wedding video (which they were very proud of). During the first weekend, Luke and I decided to rest for half of it to get over our lack of sleep on the flight, and then visit the market in Usa River. Zablon came with us to show us around and find our feet. He also showed us where we would be taking the Dala Dala (the public transport) to the Meru district hospital on the Monday. From this point onwards we could find our way round Usa relatively well. Luke and I discovered that Mango juice is relatively cheap and tastes delicious but the chocolate was really expensive! Luke and I were given the choice of whatever department we wanted to work in. We aimed to cover most of the hospital’s departments (there weren’t many) within the 2 weeks we were there. To begin with, Luke was placed in the Male ward and I was placed in the female ward. My first impression was that compared to the hospitals in the UK, the facilities (as expected) were very limited. Privacy was a luxury and had to be paid for, ward rounds and scheduled times were rarely stuck to and everyone there had a serious problem (you generally wouldn’t find a local going into hospital unless it was of great importance). Interesting note – many women get pregnant in Tanzania due to incorrect use of the contraceptive pill. They take it just before or during the act – hence they often get pregnant. After the female ward, I made my way into major surgery and was shocked to see that they were performing surgery with the window open! • Total Hysterectomy – this had to be done as the patient had over 7+ uterine myomas! The uterus weighed 2.5kg and was 22cm wide! I also managed to visit radiotherapy, the maternity wards and the outpatient’s clinic, but I don’t want to ruin all the experience for you so I will only say that you need to visit them yourself! The one area of the hospital that Luke and I didn’t manage to visit was the TB clinic – this was due to the risk of us catching TB! Before we left Zablon and Pretty, Pretty gave us the opportunity to sit in on a friend of hers class. Somewhat fittingly, they were learning about first aid! Luke and I explained some of what we had learned about treating burns to the class as the teacher translated – the class then asked us questions. 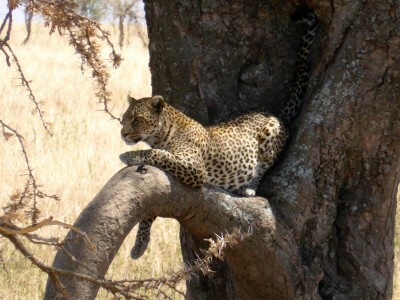 Tanzania is an amazing place and the sheer quantity of things you can do there is practically limitless! Luke and I thought we would take advantage of the fact we were so close to the Serengeti and after our final week working at the hospital we went on a safari. This project will open your eyes to what all those charity programs are trying to raise money for! You will experience what its like to be a Doctor in Tanzania and see what its like to be a patient there too. You will see what limited resources the hospital has and what they do the try and get round their limitations. You will have hands on experiences with patients and apply some of the things you’ve learnt in the past. You can’t get a purer project than this when it comes to the basics of medicine! On top of this you have the opportunity to get to know the community at Usa River and perhaps even go on a safari like Luke and I did. I’d like to thank all those who helped me pay for this life changing trip, those who helped me organize it (Kevin Dynan in the UK and Elias in Tanzania) and of course the wonderful Zablon and Pretty, whom without them – I would have not left the country feeling nearly as cultured and satisfied as I did. My name is Emily Haines, and I have embarked on two unforgettable experiences in Africa. My life-long ambition is to become a doctor, and watching medical volunteers in Africa on BBC news TV channel one day motivated me to get in touch with Global Medical Projects to find out more. I was instantly hooked on the idea of embarking on an unforgettable lifetime experience in a Third world country! Although my trips took much planning in terms of finances and dates, it was certainly worthwhile. 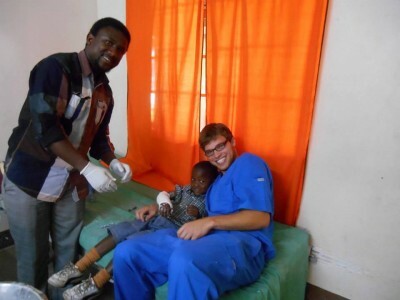 On my gap year prior to university, I took a month long trip for a medical and orphanage project in Ghana. Central Regional hospital in Cape Coast was where I spent the majority of my time, and it really opened up my eyes to the large differences between developing healthcare systems and the developed. Two years after reflecting on my time in Ghana, I could not wait to begin another project in another African setting, so I chose Tanzania. I was in Tanzania for 3 weeks, where I did another project, set in Meru District Hospital, and ‘Cradle of Love’ orphanage. 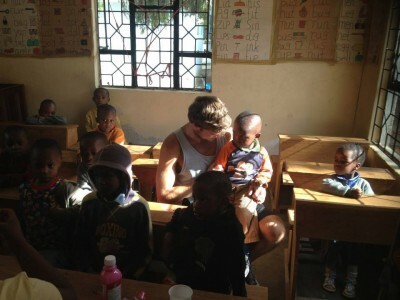 People may think the two African projects I did were almost the same experiences, but I would definitely disagree. I came back from both experiences having learnt different practices, cultures and languages! 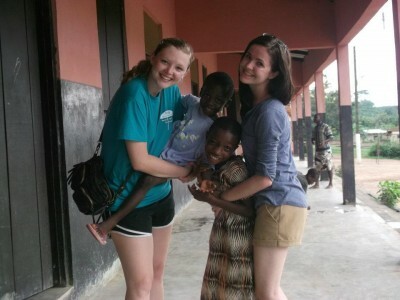 You can read about Emily’s medical and orphanage project in Ghana here. My 3 weeks in Tanzania was certainly another eye-opening experience, which I completed this summer before my final year of my Pharmacology degree. As the plane touched down in Kilimanjaro international airport, seeing the peak of Mount Kilimanjaro was absolutely breath-taking. By this point, I was eager to meet my host family. Arriving in Usa River, the children in the street were already greeting me and I knew I was going to settle in well. Pretty and Zablon, a couple who were hosting me made me feel at home right away, Zablon told me and the other volunteers about his sugar cane growing in the front garden, which was delicious! One thing different from Ghana was the cold shower and a hole in the ground for a toilet, which wasn’t such a bad thing as I may have expected. The food I was given by the lovely house maid, Neema, were in such generous portions, and I found myself eating a lot of rice, chicken and avocado! Chips mayai- a chip omelette was definitely a popular option with 4 of us volunteers staying in Zablon and Pretty’s house. Being called part of their family throughout the weeks was a great feeling and frequently watching the world cup with them during dinner time was always a good laugh! Sometimes we joined our host family and their friends in choir practice, I was overwhelmed by the amazing voices I heard, and it was great fun. Pretty also showed me and the other volunteers her and Zablon’s wedding photos and told us stories of how they met, I was very interested to hear about the culture of relationships in Tanzania. For my medical placement in Meru District Hospital in Tengeru, I was told to catch the Dala Dala bus with the other volunteers, which was an interesting; sitting close to Tanzanians was a great way to meet the locals! A journey from Usa River to Meru hospital cost only about 300 Tanzanian shillings, this was about 10 pence, so very cheap. I had some expectations of what the hospital may be like since previously working in Ghana, but it was different in some ways. 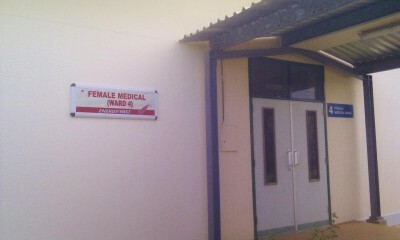 It was a lot smaller and underprivileged than Cape Coast hospital. 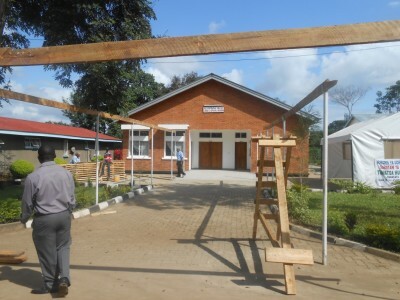 There were also some problems I noticed such as dangers in transporting the female patients from the maternity ward to surgery for their Caesarean sections, but building a safe walkway was funded by an American charity. Throughout my medical project, I visited the male ward and encountered various conditions, with HIV/AIDS being the number one disease in terms of occurrence. From speaking to the nurses I picked up a lot of medical terms in the native language- Swahili. This helped me to understand medical notes to find out what patients had and what treatments they were on. The follow up of a malnourished, heart failure patient with a doctor and medical student is one that will stick in my mind- devising a treatment plan using our combined knowledge, really gave me a chance to learn some clinical skills with a patient-based approach. Another patient that stays with me was a victim of a motor cycle accident with major brain injury; his affected memory meant it was impossible to contact his family and he could not afford an MRI scan, which was a serious problem that we aimed to tackle. Using a clinical handbook and the BNF as a prescribing guide, me and the other volunteers formed a strong relationship with the doctors; they taught us the practice of medicine and we discussed best treatments for patients. Diabetes was a common ailment in the area; a diabetic clinic was held twice a week and I could see some issues related to patient compliance, on being leg amputations from necrosis as a result. I resorted to suggesting to the matron maybe creating some simple posters to educate patients regarding their condition. Observing the cervical screening procedure was intriguing, the methods employed by using acetic acid to detect cancer cells were as a result of limited resources. Seeing women getting diagnosed with a HIV rapid test was very sad and overwhelming for the patients, but the doctor’s approach was very empathetic and thorough in investigating reasons. Visiting major surgery was an exciting opportunity, I was lucky enough to observe a C- section, and the intricacy required to stitch the incision back up was amazing. I spent the majority of my time in minor surgery, what me and the other volunteers called ‘minor ops’. 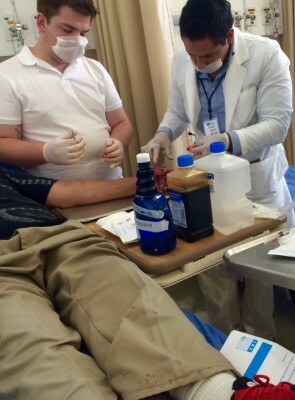 Here I had the chance to treat patient wounds, such as stitching and bandaging. I also carried out emergency treatments, fracture diagnoses and castings. Children were given ketamine as a general anaesthetic, showing some treatment limitations. 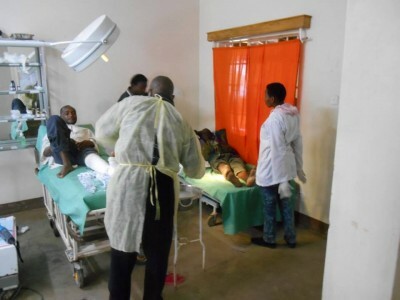 The different causes of people’s wounds was nothing I had seen before, severe wounds from gang fights, dog bites and farming equipment were some I encountered. Working in the hospital pharmacy was a completely different experience to my summer part-time job as a dispenser in the UK. There was a shortage of staff so I had to give patients advice and their medications in the absence of the pharmacist. There was also lack of drugs which was a problem for patients as it delayed many of them receiving antibiotics from hospital acquired infections. However, despite the lack of resources, many of staff in Meru had a persistent, caring attitude with patients, which was very admirable. 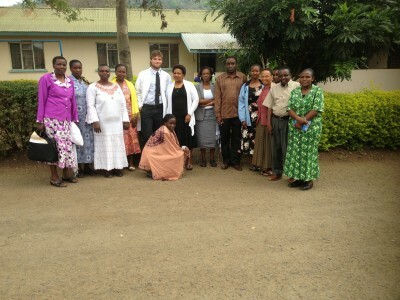 In my last week, I was lucky enough to learn about Meru and it being a government-run hospital. An anthropologist from the US spoke to me about funding for her project to improve the hospital infrastructure, which was a common issue there. This motivated me to donate some money to the project, to improve the safety of the hospital buildings. There are many experiences in the hospital I had that will be hard to forget, and I truly appreciate the willingness of the doctors in the hospital to teach a complete stranger like me. Applying my knowledge on different treatments in the hospital, I really felt I made a contribution to the healthcare, and because of the lack of drugs in the hospital, educating the nurses and doctors of ones they did not know of, I was giving something back to them, which was especially fulfilling. 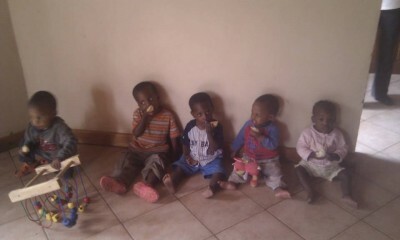 I always looked forward to volunteering at ‘Cradle of Love’ Orphanage every day from 2 til 5pm. I would catch a Dala Dala from Tengeru to Usa River, and walk 5 minutes to the orphanage. One thing I did not expect when I arrived was the security of the orphanage; there were iron gates with a security guard outside, which were certainly reassuring for the owner! Being introduced to the toddlers and babies was an exciting experience and I had never looked after children at such a young age! I was told some of the children in the orphanage were abandoned or some parents could not afford to keep their babies, the latter made me realise many of the parents put their children in Cradle for good reasons. Some children had HIV infection and one had rickets, but the dedicated attitude of the nannies provided the best care for them. Usually when I arrived the toddlers and ‘wobblers’ would have woken up from their afternoon naptime, when they were full of energy to say the least! The babies loved attention from all the volunteers there, and this made me feel I was making a difference. Playing in the garden was a favourite activity for the children; this was obvious from their immediate excitement when we got out the shoebox to put on their shoes! One thing I did find challenging whilst working in the orphanage was dividing my attention to the different children, and many wanted a turn on the swing-set at the same time. But there were other activities for the children to do, such as playing on the slides or with the toys inside the home. Once I had the chance to change a little boy’s nappy, which to be honest, I had never even done before! Throughout my time at the orphanage, I got to know the children’s personalities very well and so I knew what they did and didn’t like, which was essential to make their day a happy one. Seeing the children laughing from a small game of ‘chase’, I noticed even in a place with little resource the children could enjoy themselves. Dinnertime each day was very eventful. With the other volunteers, I would assemble the table and chairs for the toddlers to sit at a small table together. Some days if the children were in a mischievous mood they wouldn’t want to sit down but make me catch them first! This was initially difficult, but through learning each child’s preferences and from gaining their trust, it became a lot easier. The words ‘Jakula’ meaning ‘food’ in Swahili was always a trigger for their excitement! Being at Cradle of Love, I realised that giving some attention and loving communication to the children was definitely a way to brighten up both mine and their day. But again, my time in Tanzania was filled with many fun activities outside of working! Once a week, Joshua, our Tanzanian Volunteer coordinator gave me and other volunteers I lived near Swahili lessons, which was a great help in terms of constructing sentences to speak to the locals, and even the patients in the hospital. Learning some basic greetings such as ‘Habari’, ‘Shikamoo’ and ‘Jumbo’ were different ways to greet different ages of people. We were also taught the names of different foods such as Orange being ‘Chungwa’, making it a lot easier when buying food in the markets! 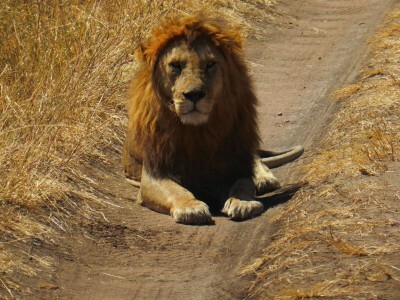 I visited a few Safaris, which were a highlight of the trip! The first weekend I visited Arusha national park, where I managed to see a lot of monkeys and even giraffes in the distance! Previously hearing about safaris and seeing them were completely different; Tarangire and the Ngorongoro crater were so beautiful it felt surreal, and seeing the elephants, zebras and lions was my favourite part. At this time, from staying at a campsite in Africa, I got a real feel of the African night-time air. Visiting a snake farm, I learnt about a wide range of the different species and some, about their lethal abilities. I even held a snake for the first time. Moshi hot springs was very enjoyable for me, despite the bumpy journey to get there! Swinging off a rope to fall into the warm waters was exhilarating, and if I stayed still, I could feel the fish nibbling my feet, I couldn’t complain about a free pedicure! A regular activity was visiting the local bar in Usa River and making friends with some locals, after this a group of us volunteers and some locals went onto Via Via, a club in the central town of Arusha. A mix of western and African music created an amazing laidback atmosphere, and was the perfect chance to meet other volunteers from all over the world. I will never forget our driver, Peter, who gave me advice on where to go and took us volunteers to places at a discounted price compared to taxis, and despite a small language barrier between us, I considered him a close friend. My experiences in Tanzania were unforgettable, and not only did I feel myself develop as a person, but I made some life-long friends that I hope to see again one day. Staying with Zablon and Pretty were most definitely the best hosts you could ask for. I have a parting gift from them that reads ‘Karibu’, meaning ‘Welcome’ and I think of this as a symbol for them welcoming me back there some day. They taught me that people coming from two completely different parts of the world can be as close as a family. I definitely recommend taking a trip to Ghana or Tanzania, these were both life-changing experiences that really put aspects of life into perspective. I have definitely grown as a person as a result of these trips, and I will forever cherish my memories and the many things I have learnt. I chose Global Medical Projects because they really do care about you making the most of your experiences. Throughout my stays in Ghana and Tanzania I felt a great sense of security with Global Medical Projects, despite being in a foreign area. I’d like to thank Kevin Dynan for giving me so much advice prior to my journeys and for making the application process a smooth one. I also thank Eric and Mary Essuah, who were fantastic in ensuring my stay in Ghana was safe, organised and enjoyable. Zablon and Pretty Mgonja were two amazing people who made sure I made the most of my stay Tanzania, which I am very grateful for. To follow in Emily’s footsteps read more about the medical project in Tanzania. 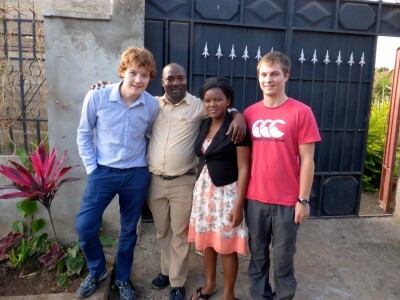 You can also read more about our orphanage placements in Tanzania. My name is Dan Hazelton, a second year Biomedical Science student, and I spent three weeks on a combined medical and volunteering project in Meru Hospital and Cradle of Love orphanage in Tanzania. 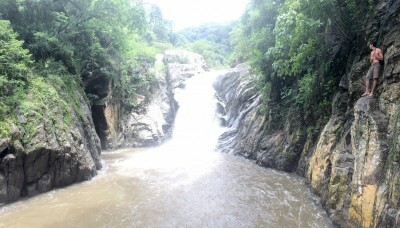 Both were located in Meru, a small area in the shadow of Mt. Meru, to the west of its ‘older brother’, Mt. Kilimanjaro. My girlfriend and I stayed with a family in the small village of Usa River, which slowly became our home over the coming weeks. On the first day, after 16 hours of grueling travelling through three countries, I arrived at Kilimanjaro airport, in dire need of the weekend to recover. However, a fellow volunteer had other ideas, and I ended up at Arusha National Park the following day, a thoroughly enjoyable trip, even if I was asleep for half of it! After being collected from the airport by Charles, a local taxi driver who we would see many more times around Usa River throughout our trip, we made our way to the Mgonja household in Usa River. We were met there by two of the loveliest people I have had the fortune to meet- Zablon and Pretty. Pretty was pregnant while I was visiting, and I hope to go back soon to meet the latest member of the family! Throughout the first weekend, I noticed the stark contrasts between daily life in a country such as this and what I was used to back in the UK. However, the close knit community feeling was apparent from the beginning; from the way everyone greeted each other as they passed, to how well Zablon and Pretty knew their neighbours from all over Usa River! My combined project saw me visit the hospital in the morning each day, after which I would make my way to the orphanage for the afternoon- a long but fulfilling day! At the beginning of my first week, Joshua Kuboja, the local coordinator, introduced us to the Dala dala. I had heard about transport such as this prior to leaving, but to experience it is another thing entirely. Although a full dala dala could be quite cramped, I loved how regular they were, so much so that I rarely saw the Usa River dala dala stop without one! Using one to reach the hospital, I began my first day by meeting the matron, who was very friendly, and quite evidently wanted to improve the hospital by asking for our feedback at the end of the trip. She proceeded to give the other volunteers and I a tour of the various wards, including paediatrics, female, male, minor and major surgery, outpatients, and family planning. I immediately noticed that the wards were allocated based on necessity; the most common diseases had their own wards, such as Diabetic clinic or the TB ward. I realised that this was a consequence of the general lack of resources in the country; the hospital treated the majority first, then allocating resources to other areas when they become available, the most sensible approach. I visited every ward, but spent most of my time in Minor Surgery, as I loved the hands on aspect there. The doctor on duty, or a medical student on her elective, would always be happy to teach me basic procedures, such as wound dressing removal/changing, plaster cast application/removal, and stitch removal, and help me complete them myself. In addition, being ‘in the thick of it’ allowed me to apply knowledge that I had already learnt, and to build upon it. 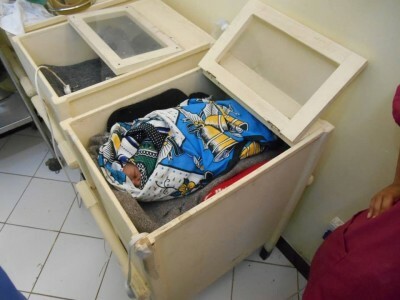 For instance, I changed the dressings of a patient nicknamed ‘Babu’ (Swahili for grandfather), then watched as a final year medical student advised the doctor to change his antibiotics, as it was evident from the state of his wound that his infection was resistant. 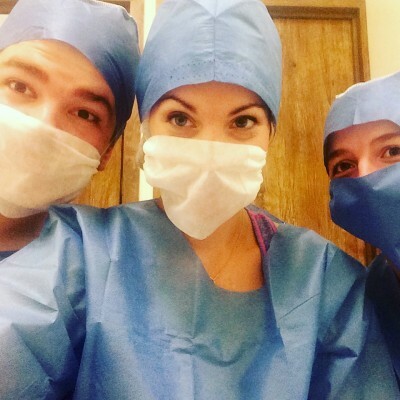 Viewing major surgery was another major highlight for me; seeing my first caesarian section was exhilarating, the baby’s first cries were wonderful to hear, as a new life was brought into the world. Again, differences between here and the UK were on show, with some aspects such as equipment and drugs used completely different to those used in the UK. For instance, I was initially surprised to see ketamine used as a local anesthetic, but was quickly informed that the one in use here was the non-recreational type. I also saw a vaginal cyst removal during my time in Major ops, and was impressed with the speed and precision with which the doctors completed the procedure. After spending the majority of the first week in Major ops, the following weekend was a bank holiday (lucky! ), so we decided to go to Arusha for the weekend. Taking the dala dala further than I had previously, as the hospital was at the halfway point in a village called Tengeru, was a bit daunting but not a problem at all in the end. 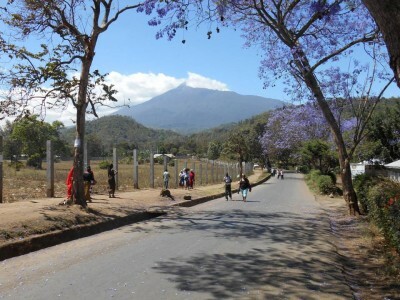 Once in Arusha, I realised just how large a city it was- a sprawling, chaotic, but ultimately amazing, concentration of people from all over the world, with buildings that all looked different. You could literally have bought anything in Arusha; shops selling motorcycle parts sat next to diners, which were situated opposite souvenir stores. Over the weekend, we visited the Maasai market for some haggling and buying of souvenirs, and Meserani Snake Park just outside the town for some reptile viewing and interaction. A very enjoyable weekend indeed. The following week, I began work in the Male ward, and moved between the other wards as the week progressed. Viewing and assisting in wards rounds allowed me to monitor progress of patients over time, and see the journey that a patient took through it- from outpatients, through the wards, and into minor or major surgery if necessary. Outpatients was particularly interesting; the sheer breadth of diseases on show was astonishing, with many eradicated or far less common in the UK, such as HIV, TB, and Hepatitis B. Doctors used preliminary tests for the these diseases, and allowed me to test patients myself in due time. Often, diseases such as diabetes that are prevalent in the UK had progressed further than I had ever seen- a man came in with an amputated foot due to gangrene. I found out that progression of diseases such as these were often due to poor compliance and nutrition, a situation common in the country. My time in outpatients was topped by fulfillment of a small childhood wish- to learn how to use a stethoscope. I always remember having one when I was young, and am grateful that I finally got the chance to use a real one! Overall, my work experience in the hospital was a truly amazing experience, both teaching me a great deal about all aspects of medicine and healthcare, whilst allowing me to grow as a person in confidence, making some great friends and, ultimately, helping people. 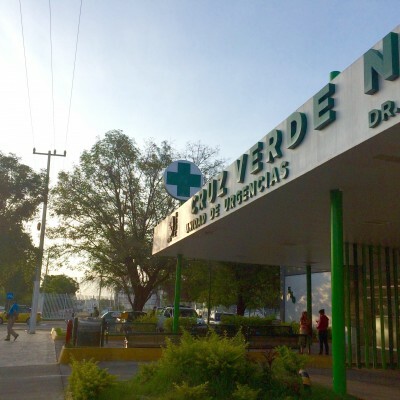 However, as you would expect, there were several areas of possible improvement within the hospital, some with fairly simple solutions, others with more deep rooted causes. Therefore, in my feedback, I tried to target only the problems that could be easily solved, to try to make an impact during my short time at the hospital. Also, some doctors were less approachable and less willing to share their knowledge that, although it was initially more difficult to learn at times, it taught me to use my initiative more- a surprising silver lining in the situation. In addition to the hospital, I visited a local orphanage in the afternoons, which offered a different experience entirely. Cradle of Love, an orphanage halfway between the hospital and Usa River, was fairly well funded, with good facilities and plenty of staff and volunteers, which surprised me initially, as I was expecting a far more degraded infrastructure. After visiting a far less privileged orphanage later on the trip, I realised that the children at Cradle were lucky to be here, but no less deprived of the most innate human craving- attention and care. Over the next three weeks, I cared for children from babies to around age 3, playing with them and assisting feeding. I had worked with children before in the UK, but not this young, and was surprised in many ways. The children were split into four groups depending on walking ability (and age): babies, crawlers, wobblers, and toddlers. I spent most time with the wobblers and toddlers, as I enjoyed the more hands on and busier style with the older kids. Full of energy and very clingy as children of that age are, I proceeded to build such strong relationships with some kids that I didn’t want to leave at the end of each day! I can honestly say that there are not many better feelings than giving attention to children that are so obviously deprived of care, and not many worse feelings than leaving at the end! Unfortunately, some of the kids weren’t used to men at all, and proceeded to cry whenever I went near them, which was the opposite of what I intended! Ultimately, although I know the kids won’t remember me, I will always treasure the time I had with them, as they brought out my inner child, and made me realise how lucky I am to have parents. On another note, before I began to research Tanzania as a country, I didn’t realise how rich it is- not in monetary terms, but in culture, in natural wonders, and in surprises. Unfortunately, I could not visit the Serengeti, or climb Kilimanjaro, or stay on Zanzibar, but I plan to do all these things when I go back, as I have heard amazing things about them. In fact, I wouldn’t have been able to do all those things in the time that I had even if I tried! 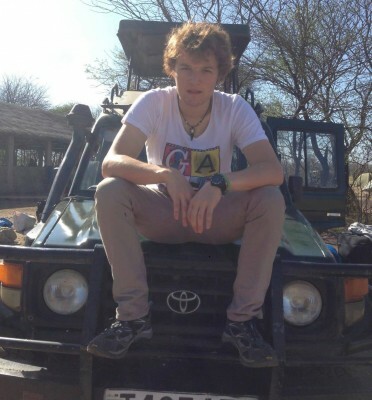 Instead, I went on safari to Tarangire and Ngorogoro National Parks, and can honestly say it was unbelievable. The pictures don’t do it justice; you must visit yourself! In the evenings, the volunteers and I would have Swahili lessons, taught by Joshua, which offered a glimpse of the culture of Tanzania. I enjoyed learning the language, as it was surprisingly easy to learn once you knew the basics. It also helped no end in the hospital, as I was soon able to pick up bits and pieces from the conversations between doctors and patients, making the experience easier and more satisfying. 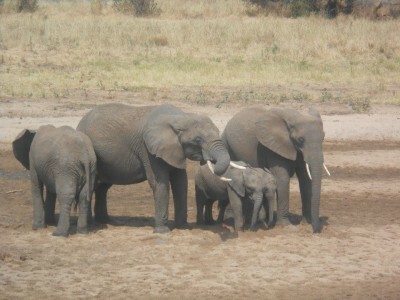 One day, I wish to go back to Tanzania and stay with Zablon and Pretty (and hopefully their son/daughter! ), but I’m so glad that I chose to organize my first visit through Global Medical Projects, as it offered safety and security that I would have struggled to find myself. Therefore, I’d like to thank Kevin Dynan and Joshua Kuboja for their help, as I could not have had this wonderful experience without them. Also, I’d like to thank Zablon and Pretty, who were the perfect family to live with; friendly, kind, and welcoming, I can’t thank them enough for putting up with me for three weeks! Also, the friends I made out there will stay with me forever- the staff at my places of work, and the volunteers that I spent my time with, they all contributed to my amazing experience. In conclusion, I’d definitely recommend the combined project that I chose, as it provided two different aspects of Tanzanian society, offering a more comprehensive view than I would imagine a single project does. It was a wonderful life experience, and one that will stay with me for life, but is also very useful to those prospective medical students, as it taught me a great deal about the profession, its successes and difficulties, and helped me grow as a person. 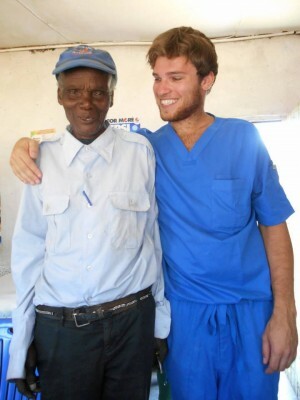 My name is Chris and I spent one month volunteering on a medical project elective in the village of Meru,Tanzania. During my time in Africa, I worked in many different departments at Meru District Hospital, but I enjoyed my experiences in the ER and major surgery theater the most. 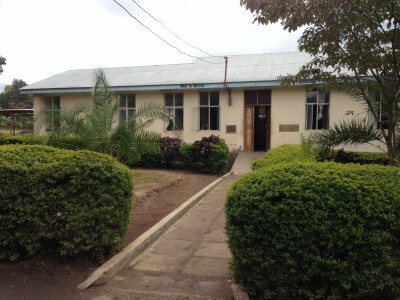 Meru District Hospital was situated near the heart of third world Kilimanjaro, Tanzania, an area impoverished with limited resources in many aspects of health care, whether it be the medicine distributed, sterilization supplies, or the way the public was educated on healthcare. In an area where health insurance didn’t exist, people of all shapes and sizes would crowd the emergency room daily with many different health concerns. It was during this month I learned exactly what it would take to work as a medical doctor in an area of unwarranted variation. When I arrived in Africa after a day and a half of flying halfway across the globe, I was exhausted. If I didn’t have the weekend to rest, I’m not sure if I would have been ready to work that first Monday. It was during the weekend though that I was able to embrace a bit of the Africa feel. One aspect I really appreciated right away was the community bond I felt between all members of the village I stayed in, Usa River. As I drove on the main road to get to the village from the airport, my host family Zablon and Pretty Mgonja explained how thick the soil was throughout the Kilimanjaro area, and as a result it was extremely dry and clean water was often a major issue. Right away I realized that it was these little things that would begin to make an impact on me throughout my trip. welcoming and eager for me to learn and practice new skills. At first, much of the staff was very instructive, teaching me the basics of suturing and injecting needles, but by the end of the first week there was nothing or nobody to hold me back, I was caring for dozens of patients all on my own every day..it almost felt too good to be true. As my time in Africa grew, I was finding myself more and more involved in the ER and surgery department, so much that even ethical issues in medicine were starting to surface amidst my experiences. One of the most startling issues was that many of my patients were young females who had given themselves abortions. Because abortions were illegal in Tanzania, young women would often damage their bodies by giving themselves an abortion; it was my duty to make sure to clean out the reproductive tract and make sure the woman would not have any further health issues down the road. These kind of situations made me aware of how politics and social situations can influence certain factors in healthcare and it made me understand how my only view was simply to help a person in any way that I could. My time in the ER helped me deal with injections, POP casts from broken limbs, auscultations, catheters, stabbings and wound cleaning, seizures, gunshots, and even motor vehicle accidents. I was getting so involved and with the amount of trust and responsibility that was bestowed upon me, it just felt right to keep going. Sometimes I would clean out an infection, whether on an infant or an elderly man, I knew how bad it would hurt to make that incision to flush out the abscess, so I would sometimes just let the patient hold onto me and squeeze my arm whenever it would hurt them just so I could hurt a little bit too and feel their pain. In my mind It was all definitely a case of learning fast, being confident, and embracing any challenge with a grain of salt, but I wanted all of that so bad…I wanted to keep learning; It was like I had something to prove. The ER shaped me the most out of all the departments, but it was being able to assist with both suturing during a cesarean and hernia surgery in the major surgery department that really made my experiences most memorable. Easily the best thing about working at the Meru District Hospital came in my last week of work. Of all the time I spent working, I felt the most experienced in my last week, and as a result the matron and staff allowed me to do rounds in the male and female ward. I would show up to work and begin my rounds around 8am and would finish up by 11am. Some of my cases included stroke, malaria, and AIDS patients. I remember sometimes being amazed at how different such cases were than the standard patient one might see at a hospital back in the US. I took each patient as a lesson, spending time with them, analyzing their treatment regimen, and making sure their condition was on its way to being stable. I must have looked like such an alien to some of those people, but that never stopped me from giving them my best care. 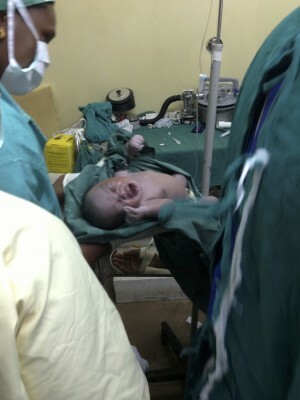 My most memorable moment though was when I had the opportunity to deliver a baby in the female ward. It was perhaps the most exhilarating moment in my life, being able to take charge in such a situation. It felt completely natural. I look back on my achievements and realize that I would not have been able to do some of these things in the US. These are some of the moments that I will remember for a long, long time. On my last day at the hospital, the entire hospital staff showed up to listen to my presentation. During my placement I truly felt that infectious diseases and unwarranted variation prohibited many of the people from being healthy, so I decided to base my presentation on the basics of innate and acquired immunity.The entire presentation lasted about 45 minutes, followed by a series of questions asked by several staff members. Near the end of my presentation, some of the doctors and head staff members made me feel humbled by acknowledging all the work I did in the last month at their hospital. As I write this 3 months since I returned from my trip, some of the faces still stick with me. These people really gave up their time to teach a stranger. Of all the feelings I felt during this trip, I realized that there really are a lot of good people in the world, you just have to carry an open heart. I found that ultimately if you truly pour your heart into what you believe in, even if it makes you vulnerable, amazing things can and will happen. Even though the application process and the gruelling flight hours may have seemed like a challenge at first, going through this experience with Global Medical Projects helped me to meet some really amazing people that I consider a part of my family now. When you share the same meals, experiences, and a roof under your head with people who are there to take care of you, you establish this connection that can truly last a lifetime if you let it. At first I was a bit concerned being the only volunteer to stay with my host family, but both were fantastic in meeting any of my needs/requests, including picking me up from the airport, assisting me with my bus fare to work when I needed it, and even helping me plan an excursion to the island of Zanzibar for a weekend trip. Perhaps the thing I valued the most that they showed me was an orphanage down the road from where I was staying called “Good Hope.” After visiting the orphanage 2 weeks into my stay, I told myself that I would visit the kids everyday after work no matter what. Seeing those smiling faces really made the trip worth it, and because of the orphanage I made a promise to myself that I would go back to Usa River once my journey to becoming a doctor is complete. I assume you can organize your own placement directly with Meru hospital if you wanted to, but I would strongly recommend going through a company such as Global Medical Projects the first time around, as this provides you with the safety and security which, in my opinion, truly matters when you may seem like a complete stranger to the country and it is easy to stand out. I am truly grateful for all that the staff at Meru District Hospital went through to teach me how to be a better medical professional and I am forever humbled to be so warmly welcomed by the entire village of Usa River during my placement. 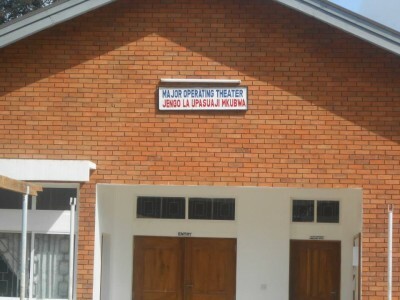 When I arrived to Usa River, I remember going to the village church on my second day and feeling like a stranger completely lost in the culture, but as I think back on my journey, I think of Usa River and Tanzania on a whole as a hidden place, tucked safely away from the world, concealed by the high walls of the Meru and Kilimanjaro mountains. It all almost felt like being in a place rich with strange beauty, like being in a dream. I would like to further extend a thank you to my family and friends for supporting me through my journey, the staff at the Commonwealth Medical College for inspiring me to strive past any limit, and to Kevin Dynan of Global Medical Projects for helping me through the entire application process. All of these amazing people have helped me grow in ways unimaginable, but my warmest gratitude goes out to the Mgonja family in Usa River, Zablon and Pretty – for teaching me that you don’t have to be blood related to be a part of a family, I promise to hold onto that bond no matter where my experiences may take me. You have decided where to go and have booked your place on one of our medical projects, now the nerves really start to kick in! On the one hand you’re excited for the adventure of a lifetime, travelling to a destination you’ve never visited before, and meeting new friends. However, the prospect of visiting a new country, experiencing a different culture and local language will fill most people with understandable trepidation. If you’re stuck in the midst of a planning nightmare or slightly nervous about the trip ahead, then keep reading for our guide on the things you should be prepping for your volunteer adventure. We’ll take you through the important documents and vaccinations you need, how to keep home sickness at bay and learning about the local area you’re visiting. As people join us from all over the world, we can’t include flights. Additionally, many volunteers join our placements as part of a wider round the world trip so it’s much easier for you to arrange your travel arrangements around your prior plans. Don’t worry though, we’ll give you help and advice on all the preparations and what flights to book. Once you have confirmed your flights, let us know the details and one of our friendly members of staff will come and meet you on arrival at the airport. You’ll also need to remember to organise your travel insurance for the trip. It can be tempting to book the cheapest insurance available, but make sure you read the policies clearly as you want to ensure that you are fully covered for your whole trip, this includes; baggage, cancellation, medical and transport claims. Many of the destinations also require you to have a visa which you will need to organise. Without a visa you won’t be able to enter the country you wish to visit, so it’s always advisable to organise this well in advance of your scheduled departure date. The majority of medical volunteer opportunities are based in countries where medical and sanitation conditions are not as good as at home, as such it’s more than likely that you will require vaccinations for your trip. You can find out which vaccinations are free and which are to be paid for on the NHS website. It’s worth remembering that most vaccinations need to be given around 8 weeks before your travel date to ensure you can receive the full course. As well as your vaccinations, you’ll also need to ensure that you’ve got a first aid kit and any other medical supplies you might need for your trip. Include things such as; plasters, painkillers, sterile dressings, antihistamines, insect repellent, rehydration solutions and bandage tape in your kit. Packing your bags is the exciting part as it means your trip is just around the corner. You will need to make sure that you have the right clothing and anything else you need for your medical placement with you. Remember to pack for weekend trips and clothes appropriate to the hospital. We’ll give you a kit list of the key items to take in your pre-departure information. Read more about our handy hints to what to pack here>>. As you’ll be travelling to a completely new part of the world, it’s essential you do as much research as possible before you begin your trip. Our team will be able to advise you on what you can expect, but it’s also worth chatting to people who’ve completed volunteering there previously. A previous student will be able to tell you all about how they felt before the placement, what to expect throughout the trip and help advise you on anything you simply must take with you. The local culture will be extremely different to what you are used to. Embrace local traditions and customs on your trip with an open mind and sense of humour. Try learning the basics of the local language too. Basic phrases such as; ‘hello’, ‘how are you’, ‘please’ and ‘thank you’ can go a long way in helping to integrate you into the country. Being so far away from home and what you are used to can be a shock, so try to beat the homesickness before it arrives at your door. Taking lots of photos with you, whether they are printed or on your phone, can be a great comfort when you’re missing home. If you’re feeling lonely then the worst thing you can do is yourself isolate further, so talk to those who are also on placement and keep yourself busy. The internet may not always be readily available in poorer countries, but there are often a few internet cafes so you can easily Skype back home. In some cases the internet can make homesickness worse too, so avoid overdosing on facebook when overseas or you may miss out on exciting trips or meeting new people. Your days will be full on but there will still be time for lots of fun in between your day to day placement duties. It’s important to make the most of your time wherever you travel, so making a list before you go of the sights you want to see can help you make the most of any down time you have. A guidebook is essential reading before you go and will help with planning weekend trips. It can also be a good idea to pack a few items to keep you entertained once your day to day duties have been completed. A couple of books or your iPad with some downloaded apps on can help to kill time when you have a spare few hours. How much money you require for your trip will completely depend on the destination you are visiting and the duration of your stay. We’ll give you an idea of how much to take but it’s always a good idea to take a little extra for must have souvenirs or activities. Many areas now accept card, but it can be advisable to notify your bank before you travel to avoid them blocking your card due to different spending habits. These are just some of the things you’ll want to prepare before you begin your adventure, so keep these in mind before you embark on your medical placement. We are on hand both before you travel and while you are overseas so never be afraid to ask, even if you think it’s a stupid question. The only stupid question is the one you don’t ask!